Over the past several months, and unrelated to the current vampire craze, I have re-watched some of the classic vampire movies: Dracula, Bram Stoker’s Dracula, Nosferatu (both Murnau and Herzog), and even Shadow of the Vampire—a movie about making vampire movies. 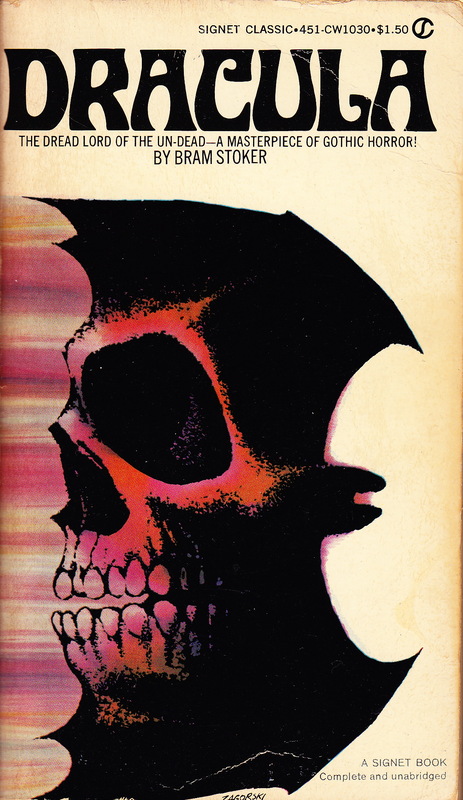 Although the prototype of the vampire goes far back in civilization, in some form back to even the earliest of civilizations, the modern rendition rests mostly on the imagination of Bram Stoker. I’ve been re-reading Dracula to recapture a sense of why this particular telling of the tale has become iconic. One suggestion that comes as I’m reading is that it presses the religious taboos of its Victorian era sensibilities. Indeed, Stoker consciously wrote religiously provocative elements into his story. Of course, in movie form the story is altered to fit the needs of both time and scope. A character that transforms in these various films is Renfield, the lunatic. In Stoker’s original Renfield is the foil for Dracula himself, his devotion interpreted as insanity by the science of the day. At one point Dr. Seward, Van Helsing’s protege and the man in charge of Renfield, notes with clarion penetration, “for a strong man with homicidal and religious mania at once might be dangerous. The combination is a dreadful one.” Renfield is, as a servant of Dracula, complicit in both homicide and religious mania. He uses Christianesque language when referring to his master. In describing his devotion, Seward notes, “He thinks of the loaves and fishes even when he believes he is in a Real Presence.” To a generation raised without Bible, this confession makes little sense. I have contended throughout this blog that religion and horror are intimate familiars. To understand the appeal of the vampire, one must explore the religious context. Surely the simple neck-biting and blood-sucking without religious underpinnings would soon grow tedious. It is the sense of mystery—most fully realized in religious thought—that brings the vampire to life in the imagination of a generation lacking traditional religion. Not to mix metaphors too intimately, but there is a dose of Melville to be mixed in as well. Renfield is the epitome of madness, blindly following where he believes he is called. But the reader knows how sadly mistaken he is. So it is that I return to Bram Stoker’s Dracula and in so doing find a form of true religion. 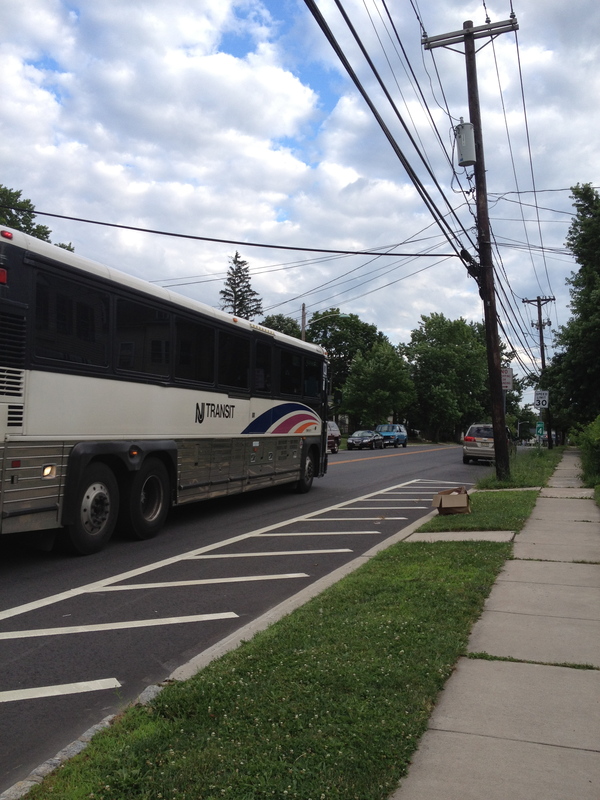 Few experiences encapsulate one’s lack of control like commuting by bus. As my first year of a daily commute to Manhattan draws to a close, I have experienced many mornings of standing in cold or hot air while a bus leisurely makes its way toward my appointed stop twenty, thirty minutes late. The commuter can’t head back home for a moment’s warmth/coolness, because the bus could come at any time. The sense of utter helplessness as you know that you’ll be late for work, and that you got up at 3:30 a.m. for this, settles like an iron blanket over what might have begun as an optimistic day. Then there are those who sit beside you, totally beyond your control. I’m a small guy and I sit scrunched next to the window to get as much light for my reading as I can. Very large people find the extra space next to me attractive, although sometimes they insist I squish even more against the window so they might fit. Overall, however, the exchange of comfort for reading time makes the arrangement palatable. It’s the loss of time that bothers me. Without traffic, my bus can be at the Port Authority Bus Terminal in an hour. To manage this feat, it has to reach my stop before 6 a.m. On rare occasions it comes perhaps five minutes early. When you take a bus, subject to the vagaries of traffic, the only wise course of action is plan on being a few minutes early. Drivers who watch the clock are dangerous. So it always annoys me when passengers down the line complain if a bus is one minute early. On those exceptional mornings I hear strident voices raised, “you’re two minutes early—I had to run!” or “I was sitting in my car; you came too early!” The driver is scolded and the next day we’re all half an hour late for work. It is the problem of premature transportation. Time, to the best of our knowledge, is something you never get back. I would rather be early rather than late. I first conceived of wasted time as a religious problem when I was in seminary. There was always so much to do, and relinquishing time to pointless activities such as standing in line, or waiting for the subway, grew acute. Now that I’m an adult anxious about holding down a job that requires a lengthy commute, the issue has arisen again. Clearly part of the difficulty lies in that time is frequently taken from us. The nine-to-five feels like shackles to a former academic. I had classes anywhere from 8 a.m. to 10:30 p.m. without considering the drain on my time. It was largely, I believe, because pointless waiting was not very often involved. Time, like any limited resource, must be parceled out wisely. Time to bring my morning meditation to an end and get ready for the bus. And if it’s early I will consider it as a divine gift. A long time ago in a galaxy far away, or so it seems, I began studying religion not knowing where it would land me. One of the great things about studying religion is the perpetual refreshing of religious thought that grows with human culture. Anthropologists and philosophers and sociologists have difficulty defining exactly what religion is. It is clearly a belief system of some description, but in many parts of the world religion is not so much reflective and reflexive—doing the ancient rituals and getting on with life. Every great once in a while I learn about a new religion. Those who don’t spend too much time thinking about it might be surprised to learn that new religions emerge quite frequently, and sometimes with the most unlikely of inspirations. Consider Scientology. While reading about new religions recently I discovered Jediism, or Star Wars religion. Like Scientology, it is based on science fiction. For those of us alive in another universe in 1977 it is difficult to convey to more recent hominins just how impressive Star Wars was. Life-changing, in some instances. Jediism takes the concept of the Force and makes it a central tenet of a belief system for the twenty-first century. Having witnessed the impact of Avatar in even more recent lightyears, perhaps we should not be surprised that fantasy worlds spawn new religions. After all, although death and suffering pervade even the most pristine of human-concocted galaxies, good ultimately wins over evil in these realms. It is something worth hoping for. Maybe even believing in. Some people question how serious those who call themselves “Jedi” on religious surveys really are. There are online Jedi sanctuaries, and even humor can be a part of a serious religion—consider the craze of Christian clowns that was going around in the 1980s. For those of us from long ago, religions just don’t seem authentic without some antiquity to them; they should’ve been started centuries ago by founders who can be mythologized to sainthood or divinity. We have more facts about the life of Yoda than we do of Jesus. The thin line between fact and fiction grows more effaced every day. Can religions be based on fictional founders? Of course they can! Without any means of determining objectively which religion is right (if any), we are left with only a person’s word about what s/he believes. If I choose to believe that Sherlock Holmes was a real person what harm does it do? It may even benefit the estate of Sir Arthur Conan Doyle. As Matt Rossano points out in his book Supernatural Selection, religions are about perceived relationships. Many people have relationships with fictional characters, sometimes falling in love with one or fantasizing about being one. Basing a religion on a fictional character may be the greatest sign of trust. After all, we can’t even define religion in a way on which all specialists will agree. Religion itself may be the ultimate fiction. May the Force be with you, just in case. The last time I visited my native western Pennsylvania I went on a quest to find the “Indian God Rock.” This is a local landmark that contains a rare set of Native American petroglyphs from around 1200 C.E., and which I have never seen. Having heard of the stone since my earliest days in the local school system, I was curious to see it. The moniker “God Rock” is complete speculation, based on early assumptions that the Algonquin wouldn’t have inscribed the stone without religious motivation. Since that time, however, the site itself has been deemed a numinous place by some by dint of having authentic petroglyphs. What makes any site sacred is the experience of the visitor. I had lived in this area for the first two decades of my life and never found it. Of course, there was no Internet in those days and its location was remote. Sacred places should be difficult to reach. It was about time. The Indian God Rock is located on a bicycle trail. For me that now translates into bicycle trial. I used to take epic bike trips with my brother, but although they say you never forget how to ride a bike I am agnostic on the point. I have ridden a bicycle a few times in the last decade or two, and always with unusual aches when it’s over. I still like to jog, but perhaps having my feet in contact with the ground is a kind of sacred behavior in itself. In any case, when I went after the God Rock, I was on foot. Although I’m motivated in a fairly serious way when I’m on a quest, I also know what it is to be outvoted (unlike some politicians). Without a map, perhaps on the wrong trail, in the rain, after a couple hours of walking, I had to bow to the wishes of the majority and give up. On the way back to the car, I found a newt. In my younger days in this region I used to find them in our yard following a good rain. They are delicate creatures. When you pick them up, they try to scrabble out of your hands, supposing, as nature informs them, that to encounter a larger force is to risk being consumed. I think that this must be similar to human religious motivation. In the presence of something larger than ourselves, something that boggles the mind, we assume it is a god. The reality of the matter, however, is that the life within us is the closest we get to the divine. 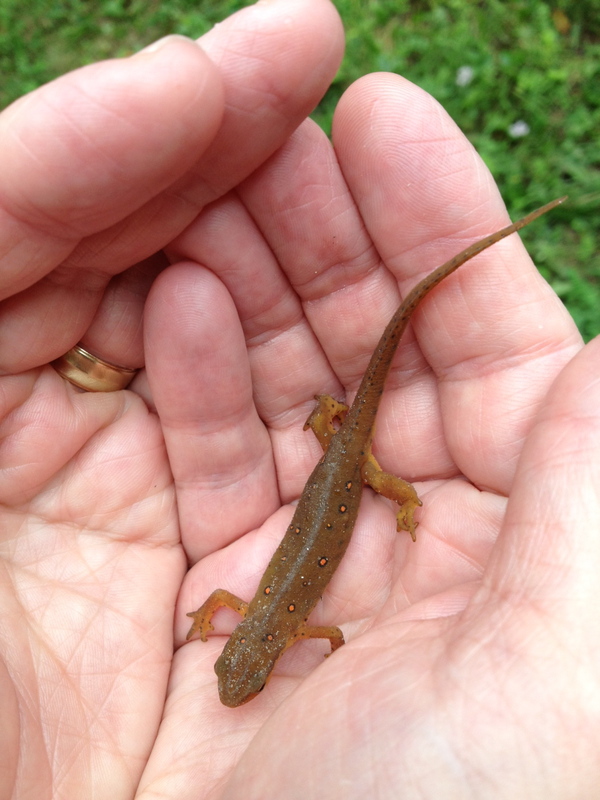 The newt in my hands is the true wonder. Somewhere not far from here is an Indian God Rock that I have never found, but right now life is in my hands. I later discovered I had been on the wrong trail all along. Great irony attends the bearing down of Hurricane Isaac on Florida, disrupting the start of the Republican National Convention. Ironic not because of the damage or destruction that normally accompanies hurricanes, but because of the silence concerning divine intent. When natural disasters—does anyone remember Katrina?—have struck against “sinful” collections of people in the past, the religious right has always been swift to designate them examples of God’s wrath. Now that God’s Own Party is being inconvenienced by a hurricane this time, well, it’s just nature. I wonder what it is that so easily distinguishes divine punishment hurricanes from benign, natural ones? In a perfect world we would perhaps have a God that saw no need to create hurricanes at all. In the world we inhabit, however, we face disasters of all sorts and have the added burden of deciding which God has sent and which s/he has not. One of the main strands of this skein of tangled thinking is the blithe unawareness that politicians often use religion insincerely. People, just like our other primate cousins, learn to respect the alpha male and acquiesce when we might get hurt. Politicians, at least for centuries, have known that few people will chase down the logic of their muddled theological declarations. We all know and experience gut-level, emotional responses to issues that matter to us. We all desire to claim the sanction of higher power—who wants to come out and admit that their opponent has some aspects of the truth and that this is purely a human matter to be decided by reason? Reason tells us that certain behaviors are not tolerated by group leaders—just ask a chimpanzee—and those in power have trouble facing up to the facts. In one of the saddest legacies of championing nationalism is the unshakeable belief, for any nation or leader that has not embraced an atheistic approach, that God is on their side. Both Allies and Axis powers claimed divine support in both wars to end all wars. During Vietnam Bob Dylan wrote “With God on Our Side.” Politicians still hum along but they have forgotten the words. 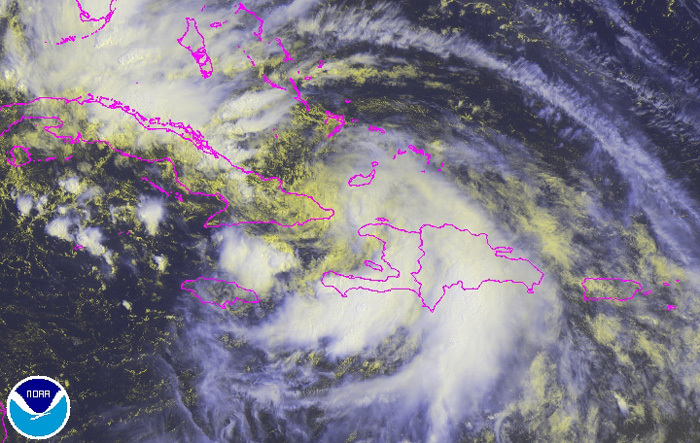 No, it does not please me that once again a hurricane threatens life and property. I’ve been told that every cloud has a silver lining, however, and I wonder if that applies even to hurricanes. If Isaac, like his biblical namesake, can change perceptions of what God requires, maybe we can see politicians without their masks and ask what it is they really want. That, I believe, would be more stunning than any divine punishment delivered via giant bags of wind. Hagiography has gone out of style. Since the Reformation we’ve come to see even our most promising lights as flawed and sullied, and no one retains the sheen of unadulterated goodness. It is the new realism. Yet somewhere in our psyches we still need our heroes—those who give us something to which we might feebly attain. A couple years back I visited Edison’s Orange labs in New Jersey—his last inventing paradise—and partook of the mythology that is Edison. 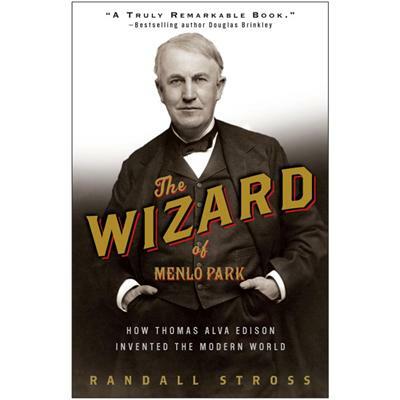 Thoughts of that visit keep coming to me, so I read Randall Stross’s The Wizard of Menlo Park: How Thomas Alva Edison Invented the Modern World. Like a wonder-struck schoolboy, or Homer Simpson, I was ready to find stories of incredible creations Edison conceived. Instead Stross’s account is devoid of hagiography and presents a tarnished hero that is much more in keeping with the spirit of the twenty-first century. Edison was known, even in the nineteenth century, for his atheistic leanings. He was one of the proponents of the human spirit of achievement, a perennial hard worker who believed we could solve our own problems. In many respects, although he didn’t foresee the practical aspects of his inventions, he was ahead of his time. As Stross points out, during his days as a telegraph operator Edison got into trouble for transcribing Jesus Christ as “J.C.,” following the standard practice of rendering time as “B.C.” (Before Christ). Others saw this as sacrilege, perhaps falling into that perpetual myth that Christ was Jesus of Nazareth’s surname. Abbreviation, no matter how sacerdotal the content, is eminently practical in telegraphy. When entertaining Henry Stanley during his days of phonograph fame, according to Stross, Stanley asked whose voice Edison would most like to hear from history. (Keep in mind, at this time, before records, magnetic tape, and MP3s, a recorded human voice seemed to be a way of communicating with the dead.) When Edison answered “Napoleon,” Stanley expressed surprise suggesting he would’ve supposed the most important voice to be that of Jesus. Edison replied, “Well, you know, I like a hustler.” Even for Edison hagiography was dead. But he did see that the world had gone after the hustlers. Watching the political game unfold again, of which I’m already deathly sick, I hear echoes of Edison’s cynicism. Political leaders would have us believe they are in it for our best interests. Anyone who has studied history (which most politicians despise and discourage us from doing) knows that Edison was right. For all his flaws, Edison will remain a symbol of light in dark times. 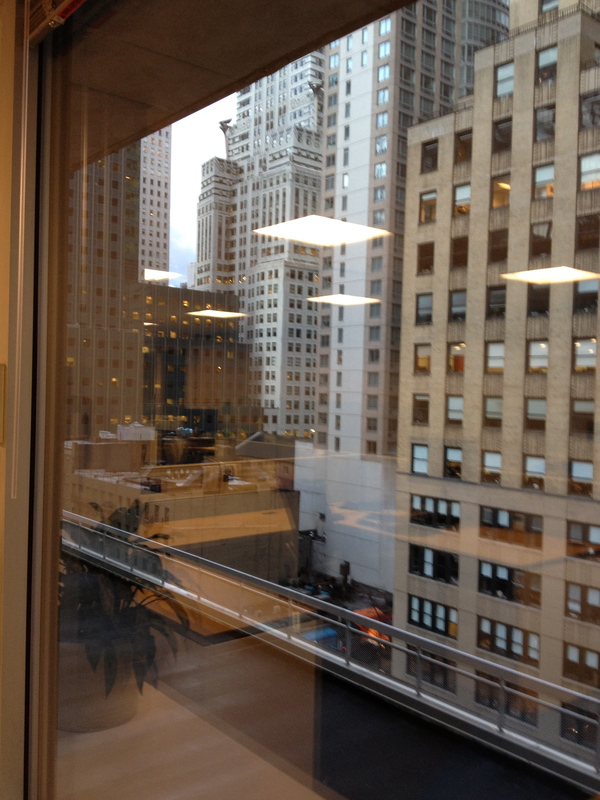 I’m sitting in a building less than 10 blocks from where a shooter opened fire in New York City this morning outside the Empire State Building. I can still hear the helicopters buzzing overhead as they’ve been doing since just after 9 a.m. One week ago I walked with my daughter down that very block after an office outing. This is the third public, multiple shooting since July in the United States. Twenty are dead, over sixty have physical scars, and the rest of us have psychological trauma. Gun control? Only a distant dream. I have been reading quite a lot about embodiment lately. The idea is both simple and complex at the same time: we are born with physical bodies and our minds spend our entire lives trying to make sense of them. Guns have a way of radically interfering with the process. Often I have heard the adage, “guns don’t kill people, people do.” This may be true, but it is no more so than the fact that we are all embodied creatures and we have a right not to be shot by homicidal maniacs. At least I think so. There are enough guns to wipe out the population of this nation, and I’m sitting at my desk in a subtle panic since nobody seems to know what happened yet. The beating of the helicopter rotors is loud, petulant, distracting. As the morning wears on the reports begin to take some order. The shooter wasn’t acting indiscriminately. The nine of the ten (later revised to ten of the eleven) people shot were caught in the crossfire between police and the gunman. The helicopters leave. Perversely I find myself relieved. Natural disasters happen and the lives of countless thousands are taken. The difference is there no motive is involved. As much as some televangelists want to tell us that “God” is punishing mostly innocent people, the fact is tsunamis, hurricanes, wildfires, earthquakes, volcanoes, and tornados are completely natural events. Maybe firearmophilia is natural as well. I can hear the sirens as innocent bystanders are rushed to the hospital. My embodied psyche turns back to my computer. Work won’t wait, and no matter where we are, we are all potentially innocent bystanders in a world where trust in guns has eclipsed trust in gods.